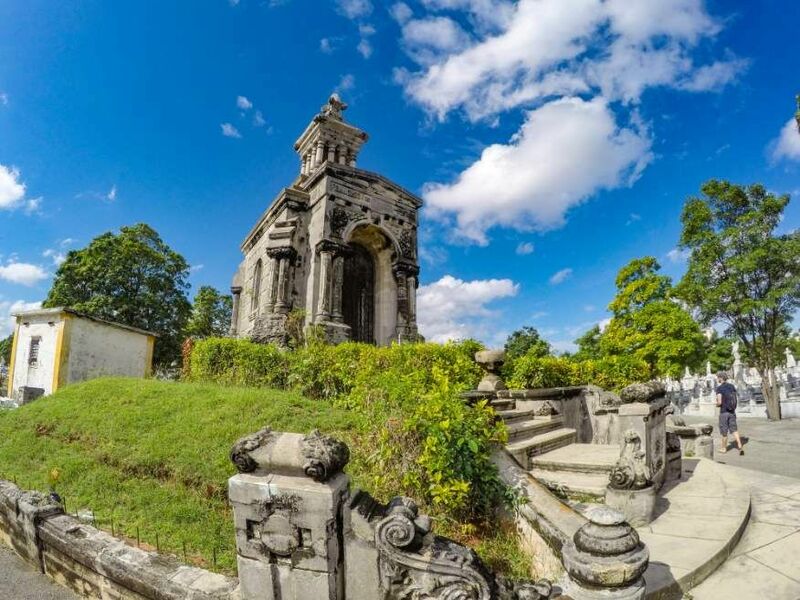 Colon Cemetery is not just the second-largest of its kind in the world, it’s also one of the three most historically important ones. 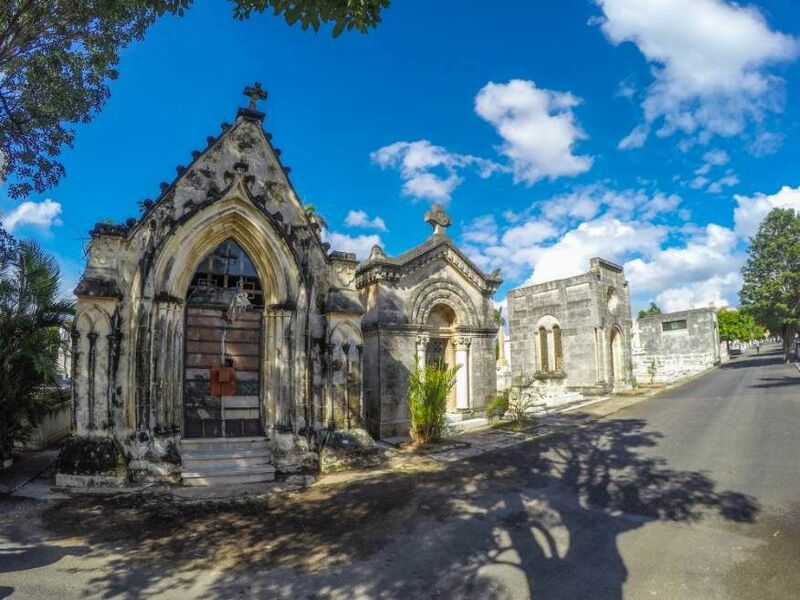 Colon Cemetery is beautiful and grand, occupying a huge chunk of Havana dirt. Centrally located and easy to get to in the heart of Vedardo, close to the busy Avenida 23. 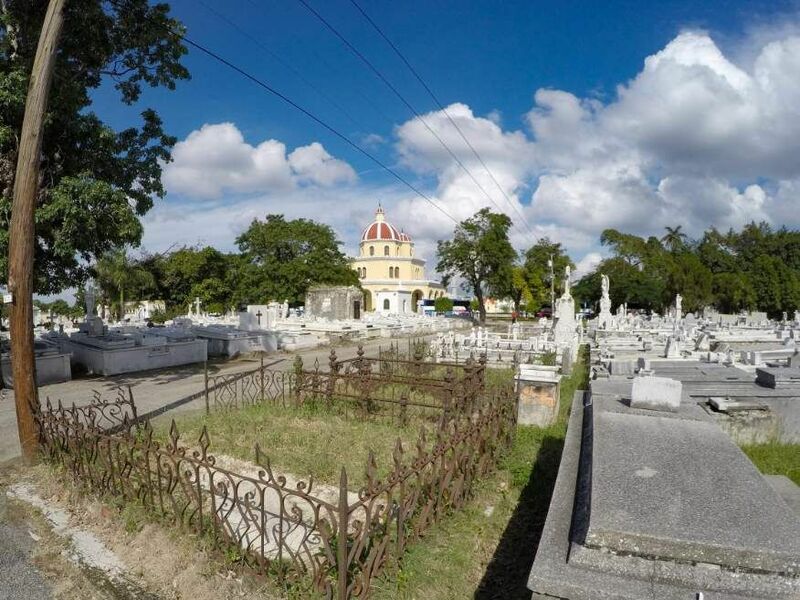 Colon Cemetery was founded in 1876 and has over 800,000 graves. 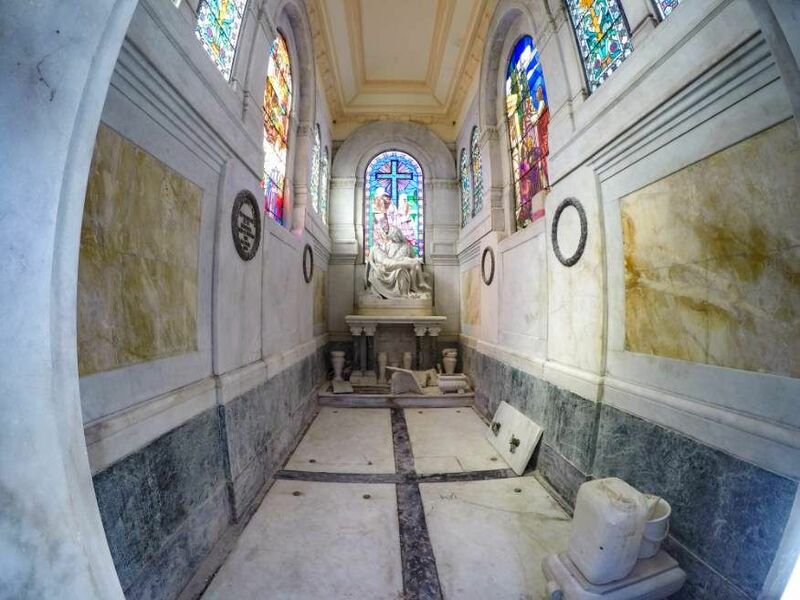 Individual mausoleums are majestic tributes to families. 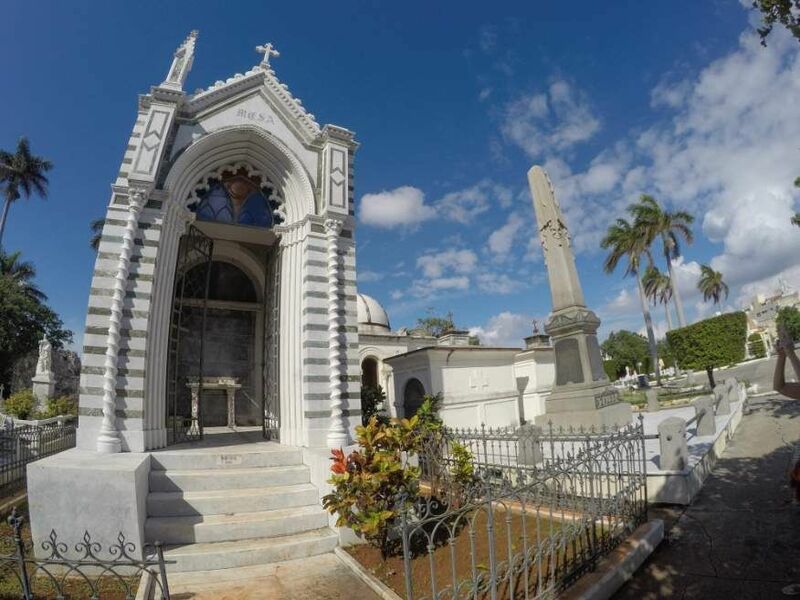 Christopher Columbus was buried there, and later his body was exhumed and transported to Spain. Ernest Hemingway’s bartender at the Florida has his own special spot. 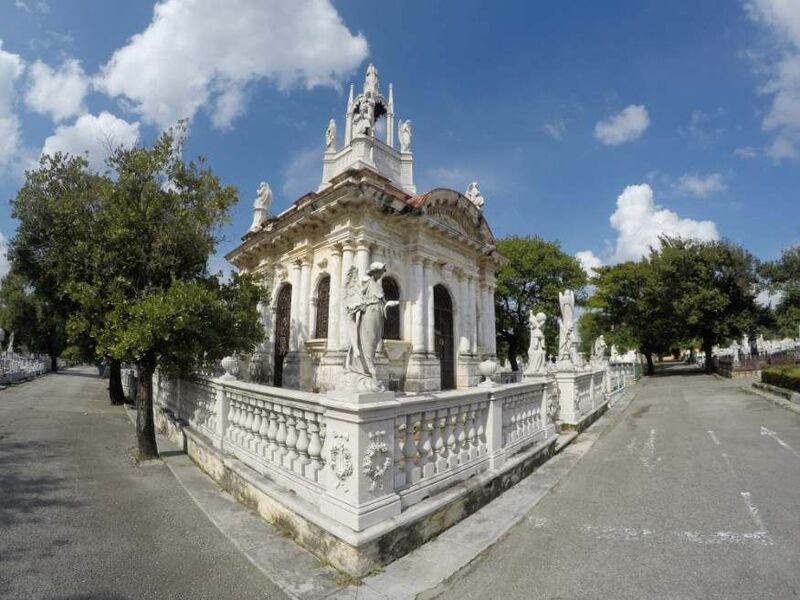 The huge Colon Cemetery has over 500 major mausoleums, chapels, vaults, tombs and galleries as well as countless gravestones covered in cherubs, angels, griffins and other wonderful decorations. 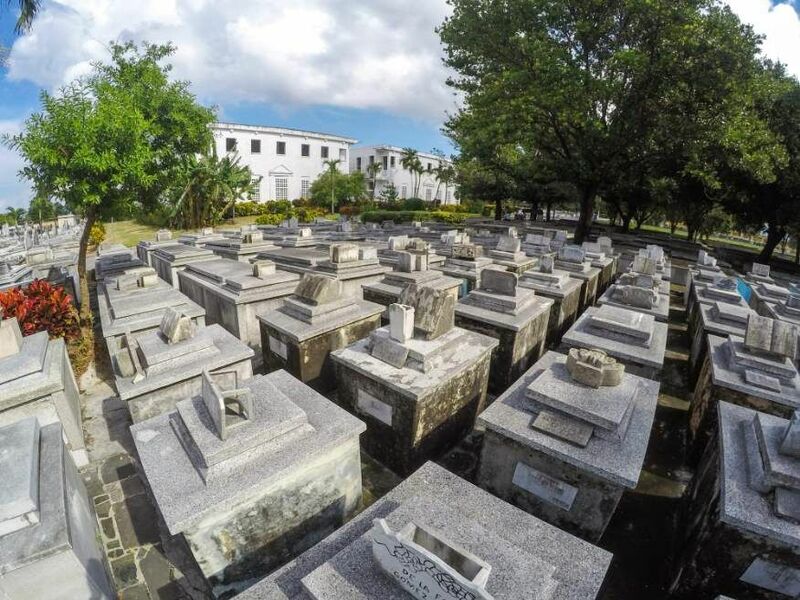 Well worth a visit to Colon Cemetery. Take a good walk around. 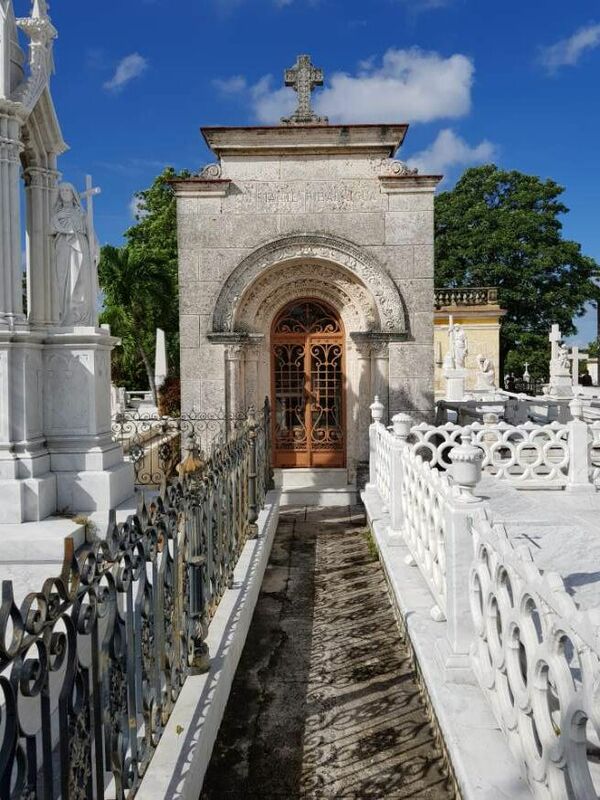 Walk up and down the rows, it’s an eye opener for sure, the huge mausoleums, chapels, vaults and underground tombs are a site to see. 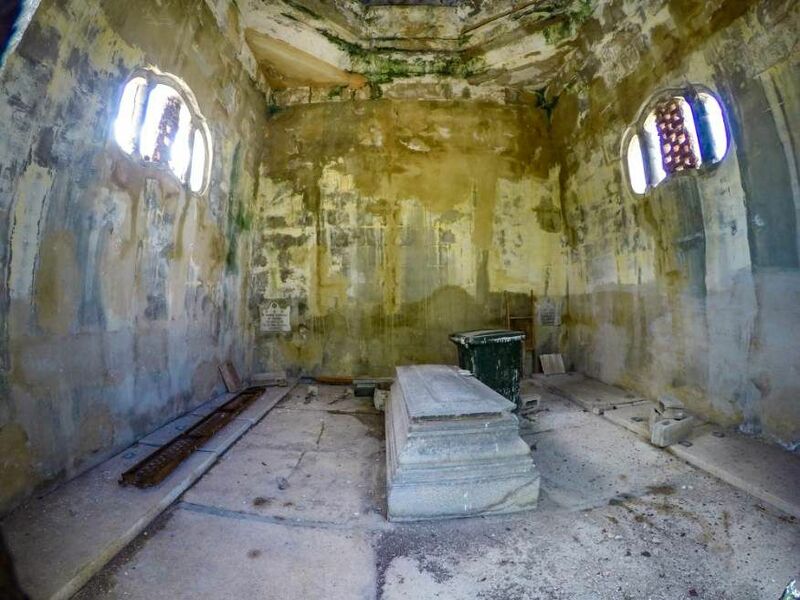 We tried to find the earliest grave, even asked one of the guides, but no one seemed to know which one it was except to say it was an unmarked slaves grave. The earliest grave we could find dated back to 1836. 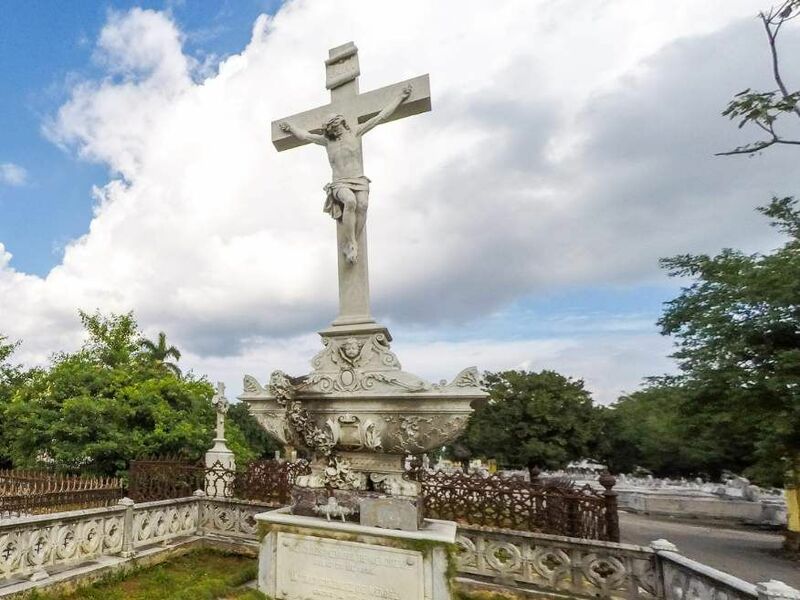 After bartering a Coco Taxi down to $7 CUC we jumped in and went off to Colon Cemetery from Parque Central. 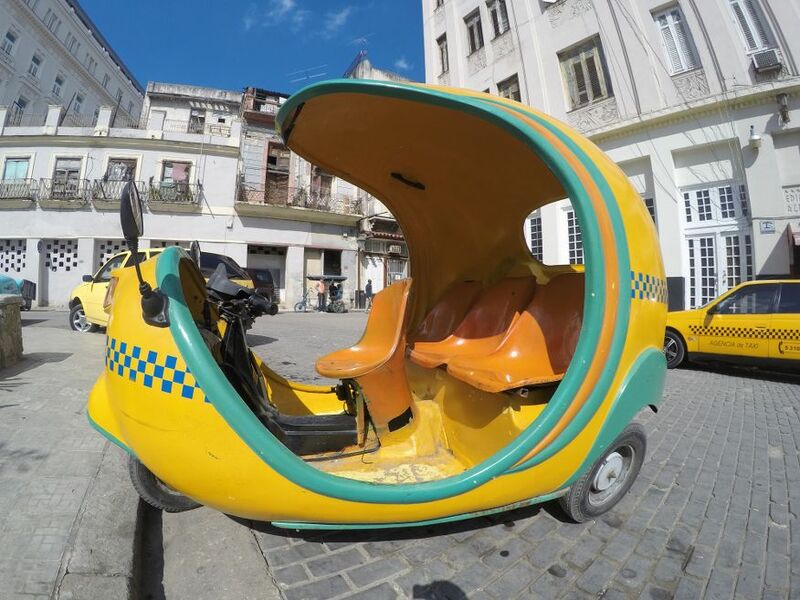 These taxis are an awesome way to travel around Havana, open air and great views along the way. 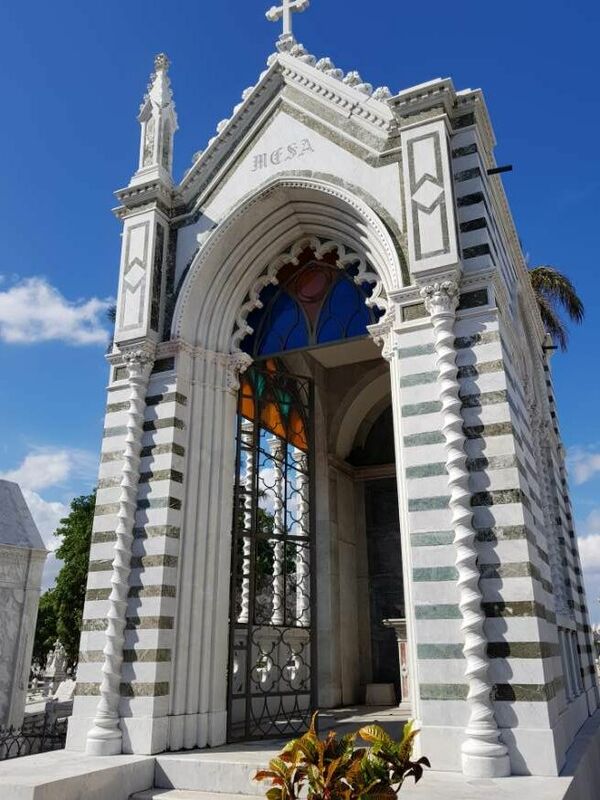 The entry to the cemetery is $5 CUC each with no guide, although there were that many other tours going on we just latched onto one of them. Open daily from 9am to 5pm. 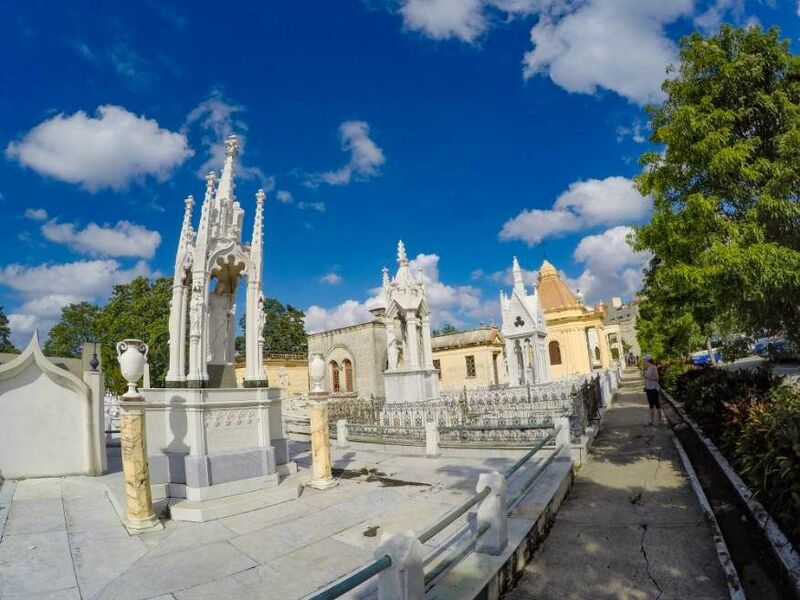 Colon Cemetery covers 56 hectares right in the middle of Havana, a massive area and completely filled with graves. Open Monday to Friday 8am to 5pm. Closed Sat and Sun.